Bali is where my head is at. Although back a few weeks now, I find I’m still feeling off-pace; vacillating between the slower, calmer pace on the Island and the faster, task-oriented pace here at home. I want to hold on to some of that slowness. 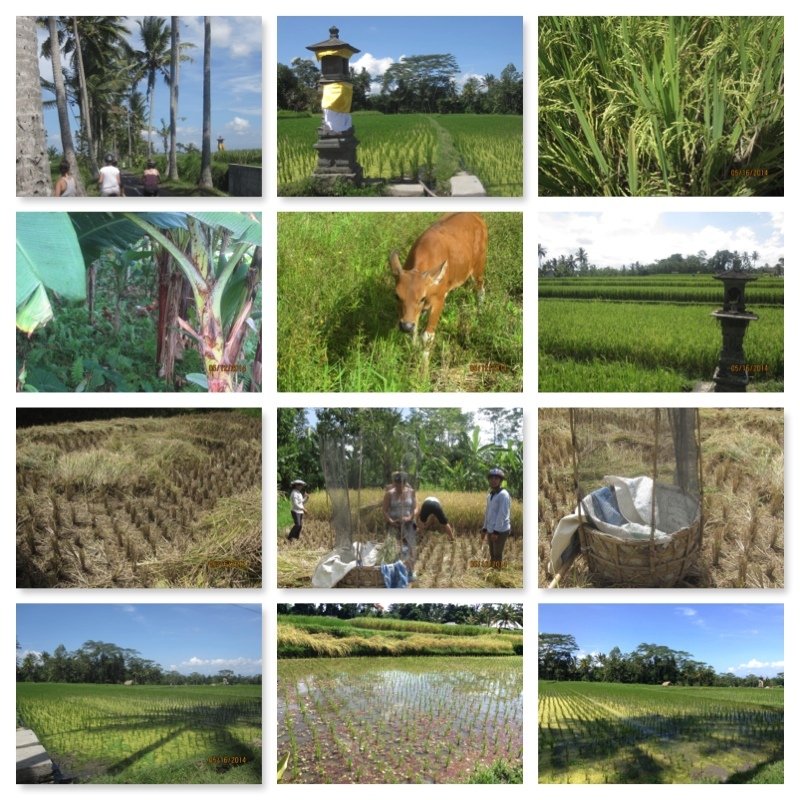 I cycled a bit around Northern Bali through local communities, past rice fields, down dirt lanes, and over small rivulets. While taking a rest by a rice field, a small boy of about age 7, with a great smile and little giggle, beckoned me to see his giant snails. 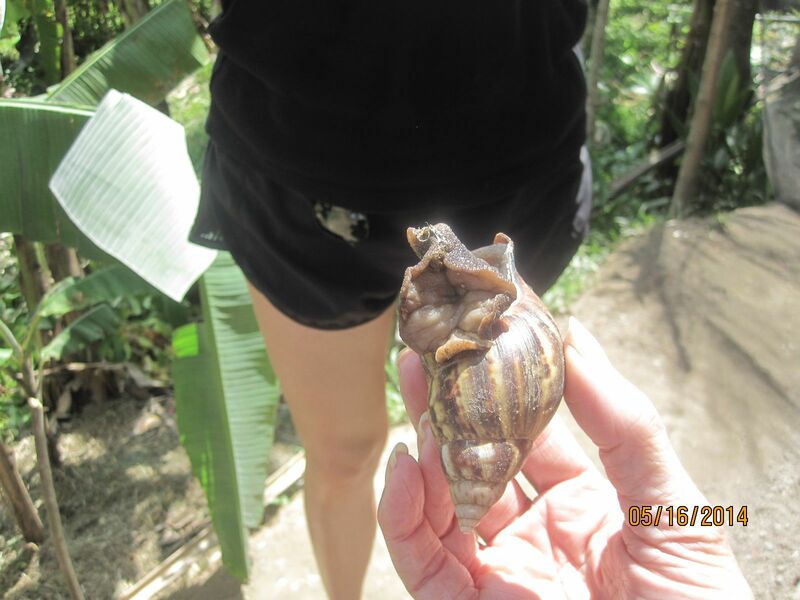 I followed him through his yard, met his mom and dad, and oohed and aahed over the snails he had his mom pick from the banana tree to show me. 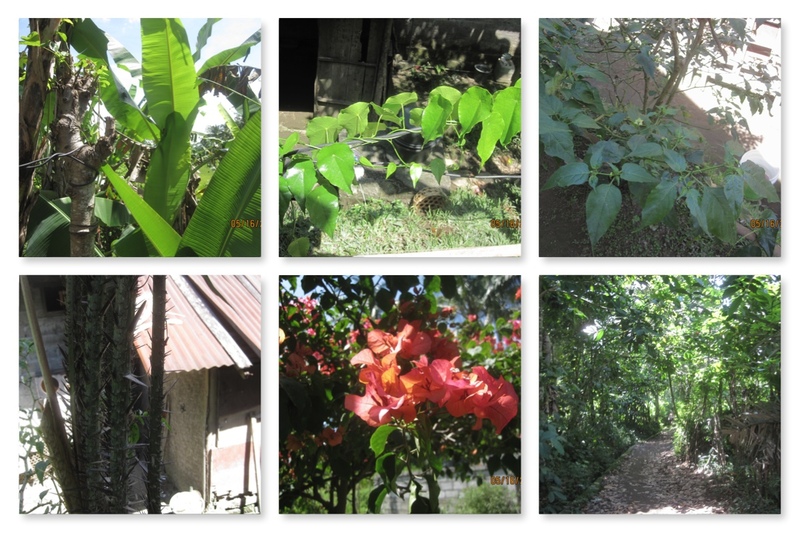 At his request, I also took numerous photos of his garden, making sure to immediately show him so he could ooh and aah over each shot. It became a bit of a game between us, and it was a nice momentary connection. Bali is known for its rice cultivation, and the rice fields are stunningly beautiful. 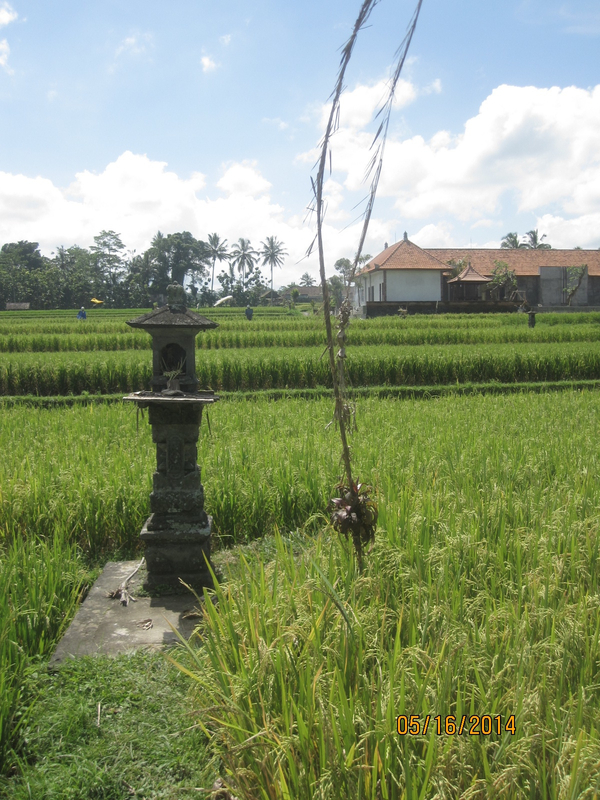 As with all things Balinese, there is a spiritual/sacred aspect to growing rice. Each field has a temple for offerings to Dwei Sri, the goddess of rice and prosperity. Here, in the States, its common to see large machinery involved in the planting and harvesting of crops. Not so much in Bali. Rice cultivation is very labor intensive and much of it is mostly done by hand. 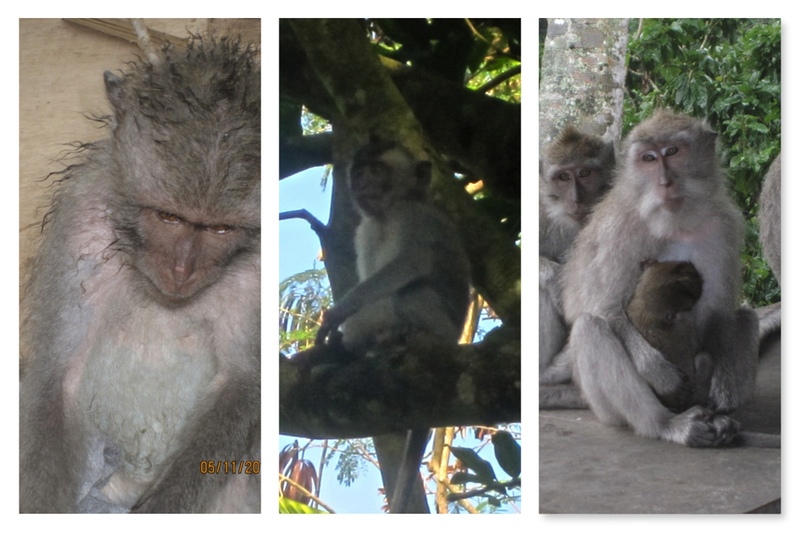 Back in the 80’s, Bali tried the “modern” farming methods with dismal results. By the 1990’s, production costs andthe cost of living had risen steadily, while prices for their crops had not. In addition their soil seemed to be suffering the effects of long-term chemical fertilizer use and their supply of irrigation water was becoming less reliable. In the 2000’s, that all started to change. The farmers started returning to the “old ways” of organic farming practices, with the help of some modern technology (internet libraries). Around 2009, they began making their own organic fertilizer from cattle and chicken/duck manure, and stopped using petrochemical pesticides. 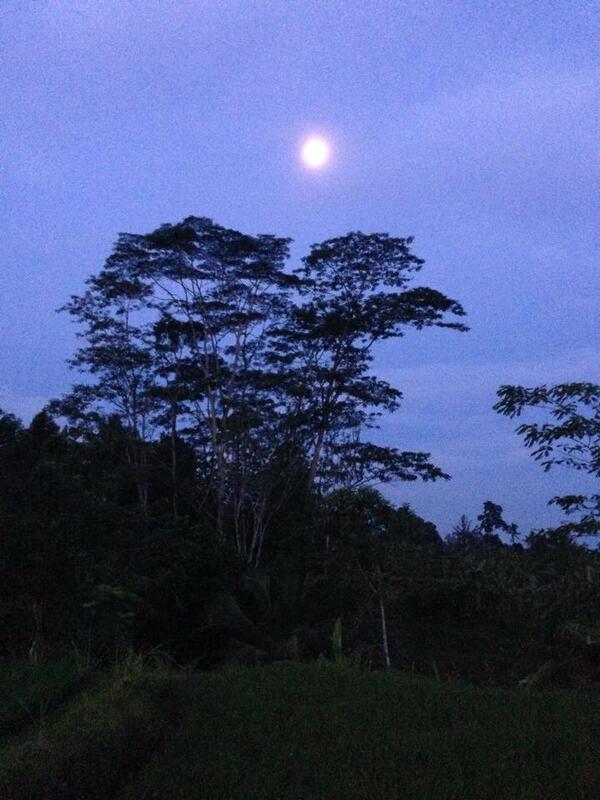 The beneficial creatures that had disappeared from their fields gradually returned. Rodent plagues that were decimating crops all over Bali were no longer a significant problem because of the return of natural predators. Now, when you walk along a rice field, you’ll see the requisite 1-2 cows in a shed next to the field, and massive duck braces mucking around cleaning up debris and bugs. You’ll see men planting the fields, myriad waterways nourishing the crops, and women harvesting the dried grain. It is cooperative, it is organized, it is organic and it is breathtaking.